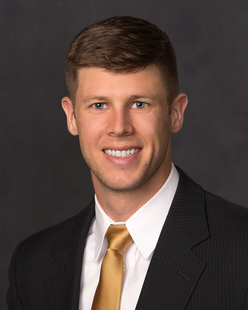 Clayton Gregersen is an Associate in the Energy, Environmental and Natural Resources Department in the firm’s Billings office. His primary areas of practice include oil and gas, environmental and natural resource law and related litigation. Clayton graduated at the top of his class from the University of Wyoming College of Law. While in law school, he was a Rocky Mountain Mineral Law Foundation Scholar, served as an extern for the Honorable Justice William U. Hill of the Wyoming Supreme Court, worked with the Wyoming Attorney General’s Water and Natural Resource Division and served on the Wyoming Law Review. Originally from Big Horn, Wyoming, Clayton enjoys golfing, snowboarding, hiking, hunting and most outdoor activities.